Lately, i’ve visited one too many sites that do not have their DNS configured correctly. 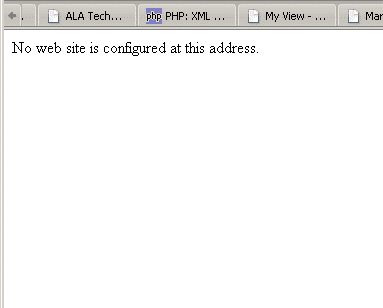 It’s either they are missing a CNAME entry for www or their IIS server isn’t set up correctly. This is a basic function for a site and essential for access and use. For people like my mother, things like this can very easily cause a lot of confusion and lead potential visitors to frustration and not getting the answers they were looking for. If your site can’t be accessed using the www prefix and without, contact your site administrator immediately and get it resolved.